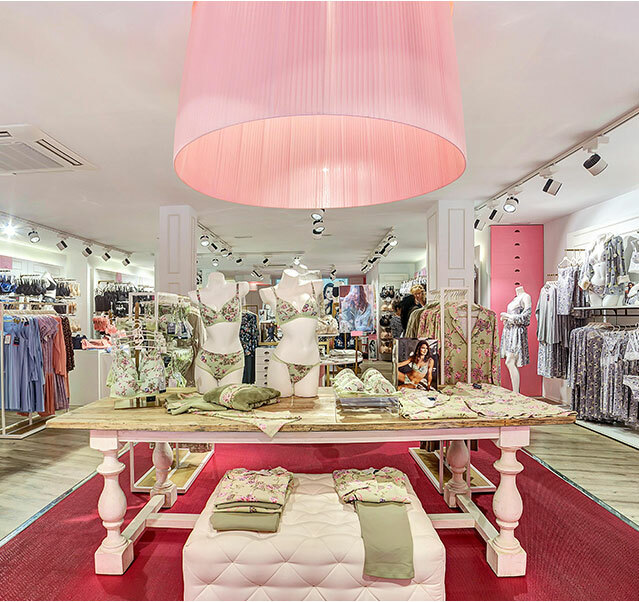 Promise retail franchise project is based on the desire to offer women a place where they feel comfortable in which to find a professional and personal advice when choosing something as important as their lingerie. PROMISE has developed a concept of store in which women can feel themselves true protagonists. Freshness, femininity, and sensuality are attributes that are transmitted by our stores. Traditionally, lingerie fashion brands have worked their positioning through a direct relation between price, quality and design. PROMISE stands out by offering premium quality fashion at extremely affordable prices. Since 2011, we started expanding our retail concept. 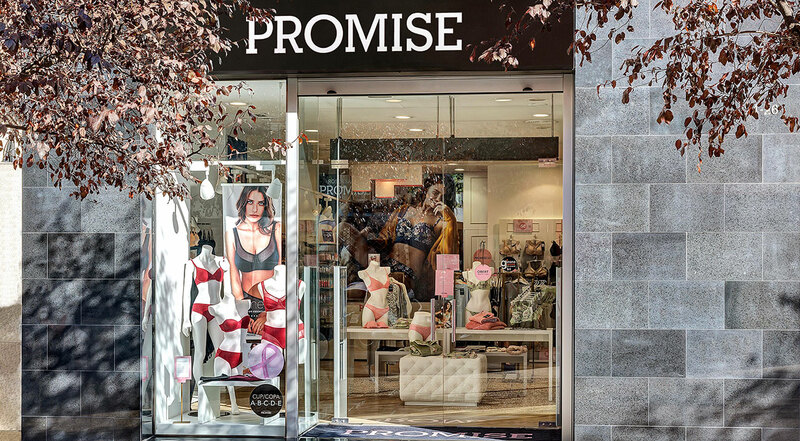 Today Promise have more than 55 points of sale either own-run or in association (franchised or shop-in-shops) in Spain, France, Italy, Belgium, Russia, United Arab Emirates, etc. Support in the research and selection of an ideal location for the Promise store. Joint study of project’s viability. National corporate marketing plan to reinforce the brand. Customized marketing plan for store opening. My Promise Card fidelity programme. Promotion plans for point of sale stimulation. Preferable location in the main street of a commercial city with more than 30,000 inhabitants. Ideal store should have a minimum surface area of 50 m2. Ideal surface area: 80 m2. In the case of a shop-in-shop: a minimum space of 10 m2 is required within the premises of a minimum surface area of 50 m2. How to open a PROMISE franchise? Assessment of future franchisee profile as well as the geographical area in which you are interested. Contact by our expansion department. Sending of the information package about the operating system of our franchise system and collections. Analysis of the premises and its area of influence. Support throughout the opening process. If you are an entrepreneurial and dynamic person with passion for lingerie, Promise is your right choice. If you feel you meet these requirements, and you wish to own your own lingerie store, we invite you to join our franchises. Fill out this contact form and we will contact you to answer all your queries.